Democrat Jahana Hayes won the primary for the 5th Congressional District race. Hayes faces Republican Manny Santos on Nov. 6. “Who’s going to bring it? Jahana!” the cheer went. If Hayes is elected on Nov. 6, she will make history as the first black woman to represent Connecticut in Congress. And she would do so in the 5th, a mostly white district. Hayes has left the talk of history-making to political pundits and the media. But the former National Teacher of the Year made waves earlier in her campaign for saying Congress should look like us -- a phrase that was still being interpreted weeks from the election. Hayes, 45, has become one of the star political newcomers this election cycle, pulling in at least $1.3 million in individual campaign donations from across the country, according to filings with the Federal Election Commission. She’s running against Republican Manny Santos, a military veteran and former mayor of Meriden who has aligned himself with President Trump. Incumbent Rep. Elizabeth Esty, a Democrat, decided not to seek reelection. 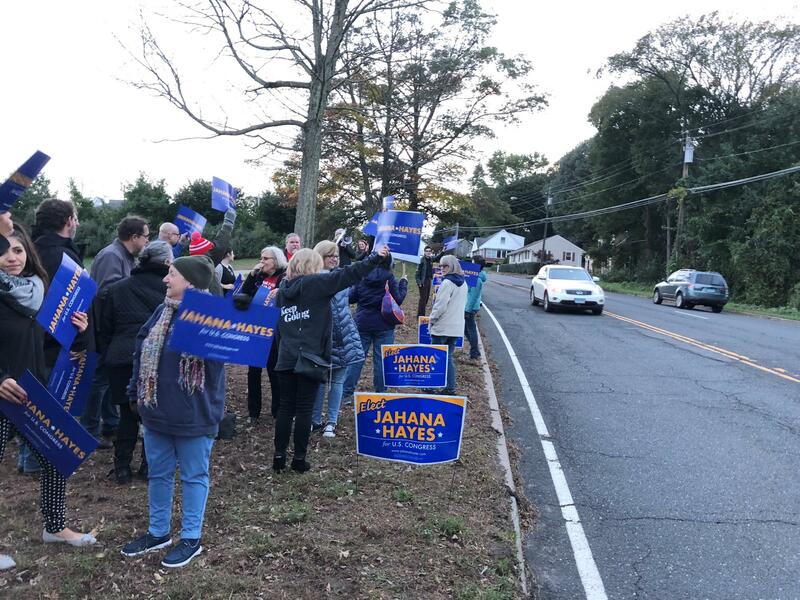 Team Hayes supporters rally for their candidate before a 5th District debate in Danbury, Conn.
National news and Rolling Stone have covered Hayes. U.S. Senator Chris Murphy was an early backer. Hayes’ first campaign ad -- a personal narrative of going from teen mom to nation’s top teacher congratulated by President Obama at the White House in 2016 -- went viral on the Internet. In mid-August, Hayes met with reporters at her Waterbury headquarters. She had defeated the Democratic Party’s endorsed candidate a day earlier and was a step closer to representing the 5th District, a chunk of northern and western Connecticut that includes cities like Waterbury, where Hayes grew up in public housing, and Litchfield County towns that are predominantly white. Quinnipiac University political science professor Khalilah Brown-Dean. Khalilah Brown-Dean, an associate professor of political science at Quinnipiac University, said she saw a double standard in the backlash. Wealthy white candidates running for governor, for instance, aren’t compelled to reassure lower-income voters that they’ll be able to adequately represent them, she said. Hayes could have been referring to women or working-class families when talking about a Congress that looks like “us,” Brown-Dean said. A day after the League of Women Voters event in Danbury, Hayes had another debate -- this time, on the campus of Central Connecticut State University in New Britain. It wasn’t just the college crowd angling for selfies and a word with Hayes, although students like Kristina DeVivo weren’t shy about expressing their feelings. Asia Clermont said she has seen up close how Hayes can motivate. 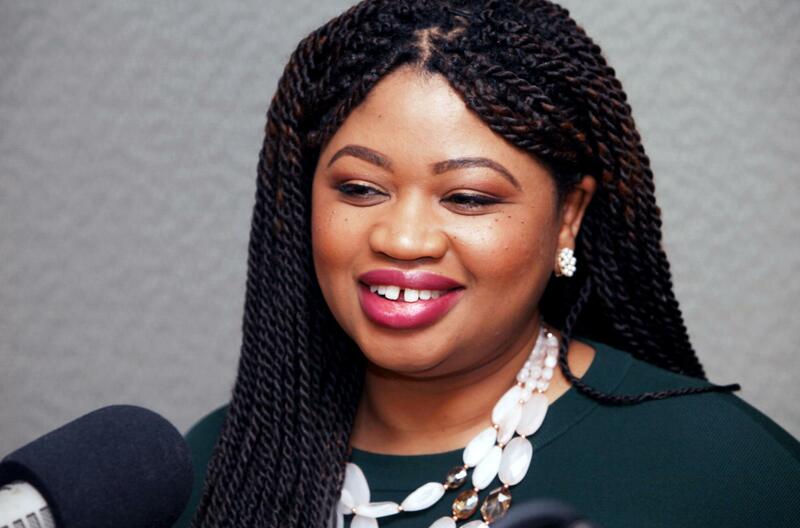 Clermont teaches high school history after following in her mother’s footsteps. Then and now, Clermont said her mother always goes "full steam." Hayes is still working her full-time job as an administrator in the Waterbury school district -- because, Hayes said, her family relies on her income. So nights and weekends are crammed with campaigning. 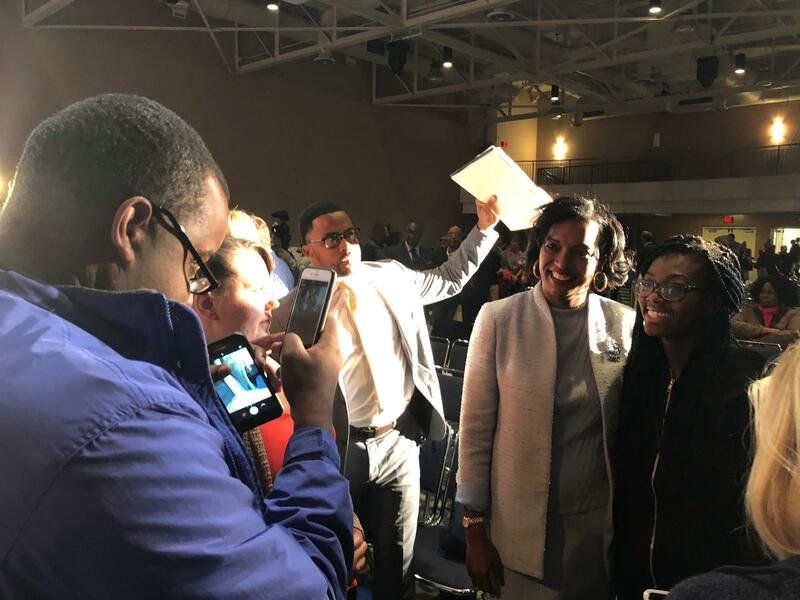 Democratic candidate Jahana Hayes takes photos with supporters after a recent 5th District debate at Central Connecticut State University in New Britain. Jahana Hayes is a mother of four. Her youngest child is 10 years old. And her firstborn, Clermont, is pregnant. Despite everything that’s going on, Clermont said, Hayes insisted on organizing the baby shower, planned for after the election. On this night on the college campus, after spending an extra 40 minutes with supporters post-debate, Hayes started to head out with her family and campaign staff in tow. Yes, she said, some folks did get sensitive earlier in the race. “But so many other people understood exactly what I meant and understood that it means more inclusive: Working families, mothers, teachers, daughters,” Hayes said. Ultimately, wanting a Congress that looks like us is a message built on hope, she said. She hopes people who think there’s no way they can run for office might remember her campaign and start to think it’s possible. Hayes has a lot going on, including the baby shower and helping her 10-year-old with his homework. Republican Manny Santos is vying for the 5th Congressional District seat that’s about to be vacated by Democrat Elizabeth Esty.